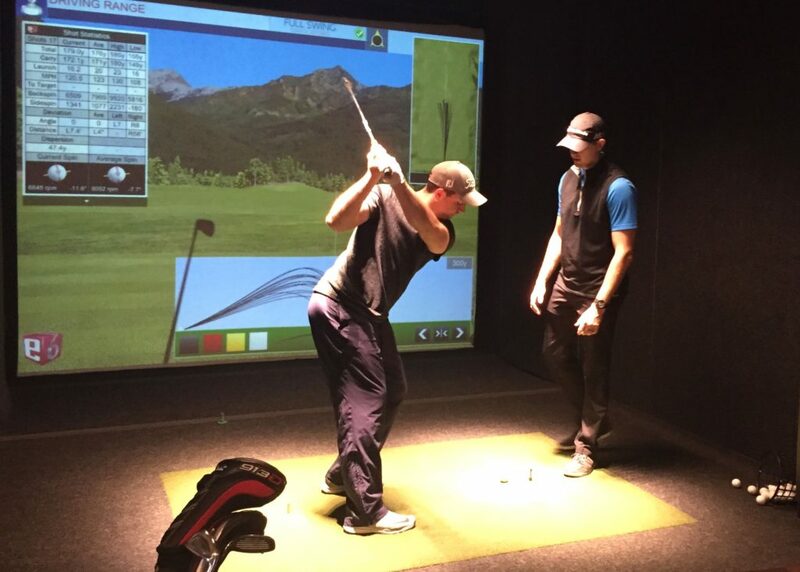 What exactly IS an Indoor golf simulator? 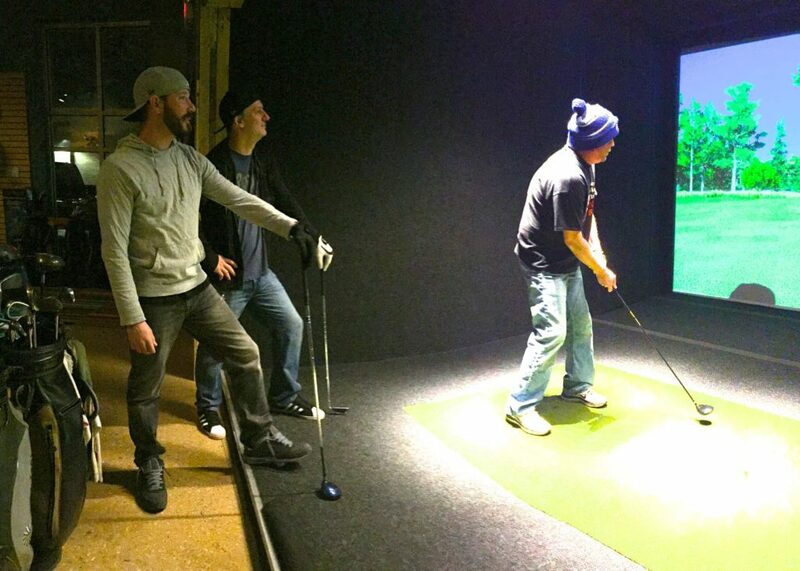 Halfway House Indoor Golf has 4 simulator “bays”. 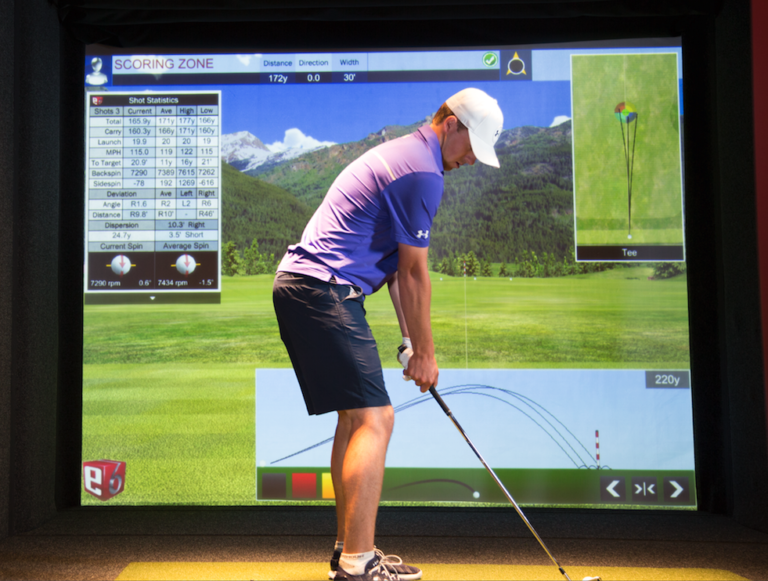 The golfer stands in a 12’ x 16’ bay that has a very large movie-type screen in the back. The golfer uses real clubs and golf balls. The ball hits the screen, drops to the floor, and the virtual portion begins. Based on the information rendered from the camera and sensors, a virtual ball continues into the virtual golf course on the screen, landing the ball exactly where it would land if playing on the real course. How many players can play on one simulator at a time? We suggest a maximum of 4 players. If you are playing a match with friends, be sure to give each player at least 1 hour per player for an 18 hole game. Once everyone has teed off, the software follows the rules of the game, starting with the player who is farthest from the hole, and so on. Again, please be sure to rent enough time to finish your match! We must adhere to the schedule and other customers’ tee times. An 18-hole game for a foursome with a few warm-up swings should be no less than 4 hours! Of course, you don’t necessarily have to play a full course. If you only have an hour, you can play to whatever you get through, or you can play “Closest to the Pin”, “Longest Drive”, “Demolition Golf”, or our new “Skills Challenge Course”. Do I rent by the hour or by the game? The simulators are rented in either ½-hour or 1-hour sessions. If it’s your first time, you will receive a quick tutorial on the simulator software. You can practice on the practice range or you can choose from over 70 courses to play. If you choose to play a full course, please be aware that it takes an hour for one person to play 18 holes. We highly suggest booking 1 hour per player to allow time for practice swings and choosing a course. Do I bring my own golf equipment? Yes! Please bring your own clubs, but please do NOT wear golf shoes. We provide the balls. 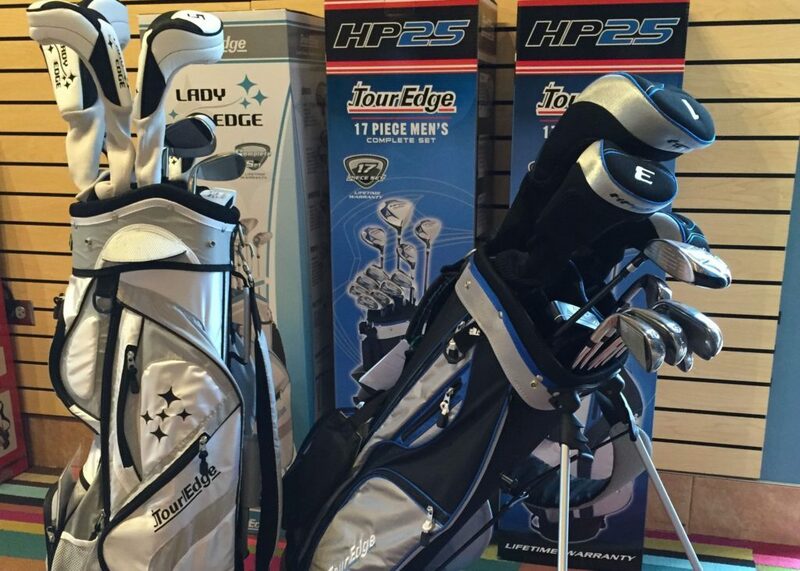 If you aren’t able to bring your own clubs, we have a few sets you can borrow at no charge. What’s it like to play on a virtual golf course? Once you choose your course and mode of play, you are ready to tee off. Before you start a hole, or at any time, you can get an aerial view of the hole to get an appreciation of the layout, and also be able to get distance information to trees and other hazards that could come into play. When you tee off, you will swing a real club and hit a real golf ball into the screen. You will see the fairway ahead of you, as well as the rough and nearby trees and hazards, just as you would if you were playing outdoors. You may see the green in the distance on long holes, unless you are playing a dogleg. On par 3’s, the green and flag will be in clear view, just like on a real course. 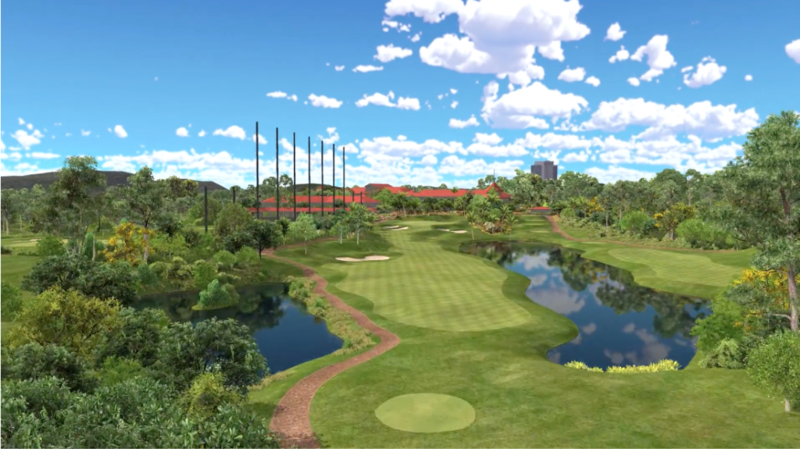 You will see your virtual ball land and bounce following the actual topography of the course. For your next shot, you will see the new view from your lying ball, and you will continue to play as if you are on the real course, but with no time wasted looking for your ball way over there in the rough! You will putt right into the screen. Putting requires that you get a feel for the speed of the greens, adjust accordingly for uphill or downhill putts, and play any break (left or right) that you will be able to see on the green. With virtual golf, there is a “gimmie” distance from the hole. Our default distance is 10 feet, however, you are able to change the distance in the Settings at the beginning of your session. How old do I have to be to play golf at Halfway House Indoor Golf? Kids are welcome if playing with a parent! In fact, virtual golf is a great way to introduce your youngsters to this fabulous game. It’s not too hot or too cold, there’s no tiresome walking and, best of all, no bathroom runs from the farthest spot on the course! However, you must be 13 years old to play without a parent! What if I get hungry and/or thirsty? Luckily, Halfway House Indoor Golf is inside HB Jones Restaurant! 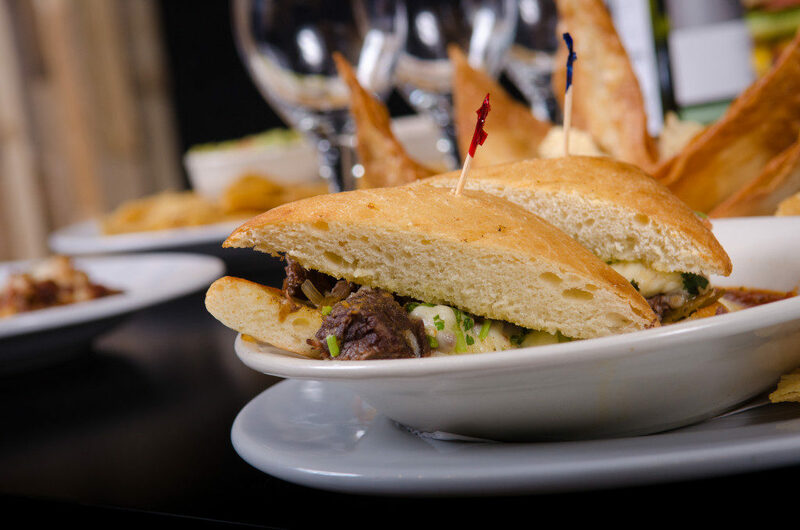 We are full service with HB Jones, so a server comes directly to your bay and serves your food and beverages. Full bar and menu available. Please Note: Your HB Jones food and beverage bill is separate from your Halfway House rental bill. 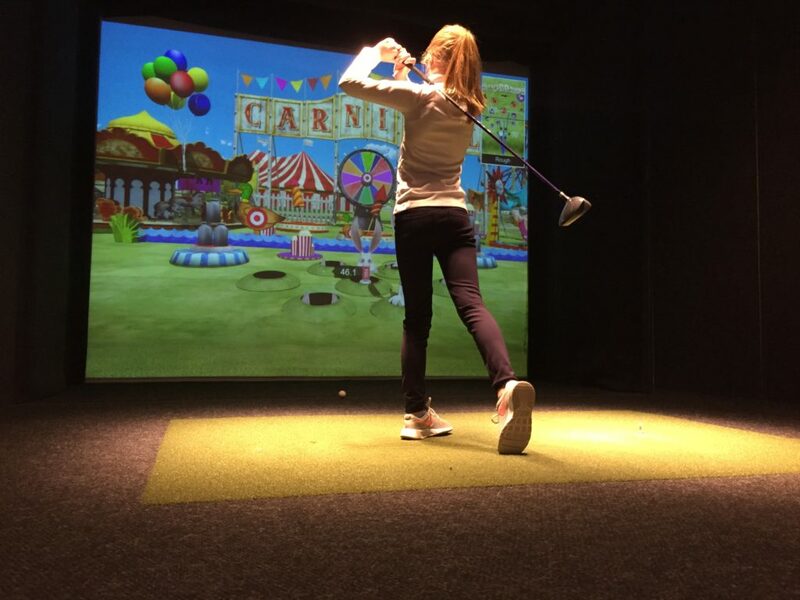 Can I take golf lessons at Halfway House Indoor Golf? Yes, we can hook you up with a golf professional who will teach you right here in Halfway House! The fee for the bay rental is separate from the golf pro fee. Please see our Lessons page for more information. If you have your own pro, feel free to bring him or her with you to your session! What if I need some golf gear? We have a few items for sale from Tour Edge and Zero Friction. Mens, Ladies, and Kids clubs.